The policy change arrives two weeks after Apple released iOS 12.0.1 with a number of bug fixes. With the change, Apple is restricting access to iOS 12.0.1 and above from its servers. The latest update was issued in part to address Wi-Fi and Bluetooth connectivity issues introduced with iOS 12 in September. Owners of iPhone XS and XS Max hardware complained of data communications problems shortly after receiving their new devices, including a behavior that would connect handsets to a known Wi-Fi network at 2.4GHz instead of 5GHz. Apple's iOS 12.0.1 also fixed an issue where some iPhone and iPad units would not charge when connected to a Lightning cable. While Apple notes the problem was limited to iPhone XS, users of other iPhone and iPad models complained of similar complications after upgrading to iOS 12 last month. 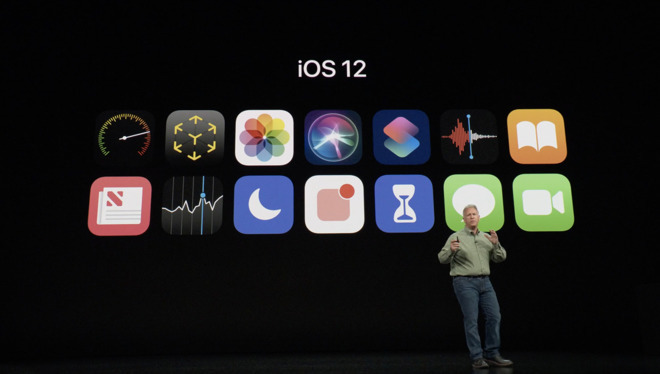 Today's code signing stoppage comes hours after Apple pushed out fifth beta versions of iOS 12.1 to developers and public testers for evaluation ahead of an expected launch in the coming weeks. When it sees release, the update will deliver support for Group FaceTime and more than 70 new emoji characters.